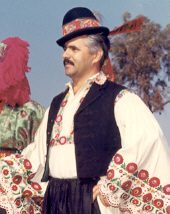 Andor Czompó, recognized as the leading authority on Hungarian folklore and dance in the western hemisphere, was born in Budapest, but raised in Turkeve, a major dance region of eastern Hungary, where he was considered one of the best dancers in the area. Because of this, he was later invited to join one of the professional Hungarian folk dance ensembles, the Budapest Folk Ensemble. He toured with this government-subsidized group through Germany and Czechoslovakia. 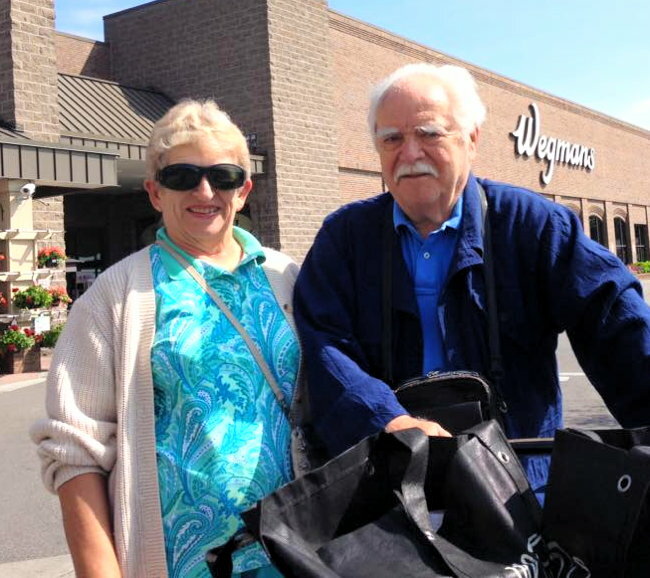 In 1948, he graduated from St. Bernat Gimnasium with a certificate in liberal arts. Both his amateur and professional dance experience led to certification in the Institute of Folk Arts as a state-licensed professional folk-ethnic instructor in 1956, having passed a comprehensive government examination. Andor was a district Folk Art Supervisor in Borsod county, and worked on a folk art research project in the northern part of Hungary and in areas that were no longer a part of Hungary. Andor's sister, an accomplished dancer and teacher, and his mother remained behind. 1956 was an eventful and tragic year in Hungarian history. In October of that year, the Hungarian people began a revolt against the communist regime, and for several weeks they were successful. In November, however, Russian troops poured into the country and the revolution was crushed. Many Hungarians were killed or sent to prison in Russia, and about 190,000 Hungarians fled to non-communist countries. Anor was one of these refugees. Hidden in the trunk of an official car and armed with a military rifle, he succeeded in crossing the main bridge of the Danube River, eluding armed gards. If he had been caught, he would have most certainly been shot to death. After his escape, he made his way to a refugee camp in Austria. Eventually, the Hungarian community recognized his artistic ability, and during the years 1960 to 1962, he was appointed Artistic Director and Choreographer for the Hungarian Ethnic Dance Group of New York. During this time, he also studied character dance at the Metropolitan Opera Ballet School and in 1963, he became a dancer, choreographer, and advisor for the Kovach-Rabovsky Hungarian Ballet Bihari, which toured under the auspices of Columbia Artists. Except for Andor, this group was comprised of Hungarian dancers who had been trained in the ballet schools of the Soviet Union. There he met Cecile Szakacs, who was active in the NEA (National Education Association). She helped Andor get started with his dancing again and encouraged him to go to the New York City area, where she found a job for him. In 1961, in New York City, Andor found some friends with whom he had danced in Hungary. 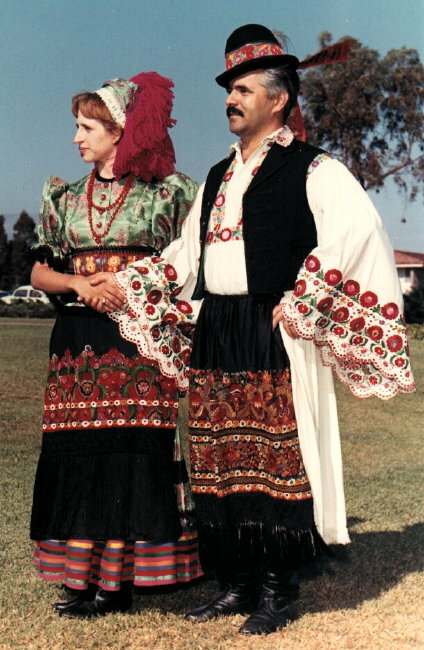 He organized the Hungarian Ethnic Dance Group of New York, which appeared on a CBS television program. He performed at the New York Town Hall, Washington Constitution Hall International Folk Dance Festival, and many other venues. 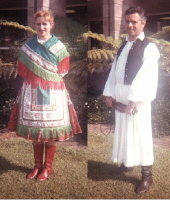 Andor was asked to teach at the Herman's Maine Folk Dance Camp, and it is said that the Herman's went goofy with excitement upon seeing the Hungarian dance. 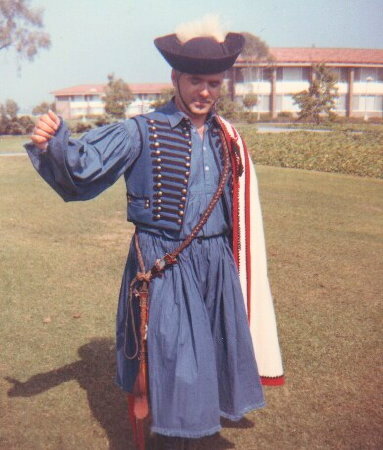 They persuaded Andor to teach at their famous Herman Folk Dance House in New York, and in 1962, he taught for the first time at the Maine Folk Dance Camp. It was at a Main camp that Andor met Ann Reed. Andor proposed to Ann with the aid of his Hungarian-English dictionary. He married Ann a little over a year later in 1963, after Andor's tour with Bihari. Ann, who has her MA Degree in dance, teaches folk, modern, jazz, and square dance, as well as dance composition. The couple resided in Illinois where Ann was on the dance faculty at Northern Illinois University. Ann is nationally recognized for her work in modern, jazz, and ballet. The couple have a son, Stevie. 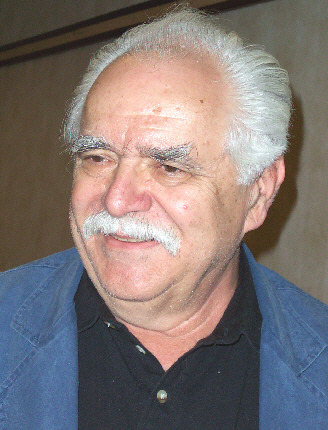 Andor worked with several exhibition dance groups, performed on television, and was a dancer-choreographer for the Kovach-Rabovsky Hungarian Ballet Bihari. He has choreographed several dance suites for the Duquesne University Tamburitzans and the Brigham Young University Folk Dance Ensemble. Andor has taught master classes at major colleges and universities in the United States and Canada, and has served as a teaching staff member on most of the major folk dance camps, such as the San Diego Folk Dance Conference and the Santa Barbara Folk Dance Conference in California. In the United States he has founded several ensembles. Professor Czompó maintains tight control over his dance descriptions, music, and costumes. He considers it his responsibility to his Hungarian heritage because he feels it should be the first duty of any specialist to make certain his material is ethnically correct and to keep it that way. Dance Fundamentals with Ann I. Czompó, 54 pp, AC Publications, Homer, New York, 1981. A syllabus of teaching materials for the classroom. Dances Andor has taught include Adjon az Isten, Bagi Forgós, Bagi Karikázó, Bagi Páros, Bagi Verbunk, Bagi Verbunk és Forgó, Békési Páros, Böjti Séta, Borozdánfutó, Cickom Csárdás, Cigánytánc, Cinege, Csanádi Leánytác, Csárdás, Csárdás Palocosan, Csendes Csárdás, Csendes és Forgós Csárdás, Csillagtánc, Debreceni Csárdás, Délaföldi Ugrós, Dobogós, Dudálás és Ugrós, Dudári Lakodalmas, Dunafalvi Leánytánc, Ecseri Csárdás, Erdédelyi Csárdás, Falushi Tánc, Fáridázó, Forgó, Forgó Csárdás, Forgatós, Galgamenti Karikázó, Gencsi Verbunk, Gyertás Tánc, Hétlépés, Hídas Játék, Homoródi Körtánc, Horă din Giubega, Horă din Oltenia, Huszár Verbunk és Csárdás, Kákicsi Dobogós, Kállói Kettös, Kalocsai Csárdás, Kalocsai Körtánc, Kalocsai Mars, Kalocsai Táncok, Kalotaszegi Csárdás, Kalotaszegi Lassú, Kanásztánc, Kapuvári Csárdás, Kapuvári Verbunk, Karikázó, Kevi Csárdás, Kiskanásztánc, Kiskun Verbunk, Kónyi Verbunk, Körcsárdás, Körtánc, Körösztöző Tápéi, Kún Verbunk, Lakodalmi Tánc, Legényes és Csárdás, Madocsai Táncok, Magyar Verbunk, Makkfalvi Táncok, Menet Tánc, Michael's Csárdás, Nagykonyi Verbunk, Négyesforgó, Oláhos, Pajtás Tánc, Palóc Csárdás I, Palóc Csárdás, Páloc Páros, Páloc Táncok, Palotás, Párválasztó, Pusztafalusi Sarkantyús és Csárdás, Régi Tánc, Részére egy Születélsnap, Sarkantyús, Sárkőzi Karikázó, Sárkőzi Tánc, Sej Haj Rozika, Sétálo, Somogyi Csárdás, Somogyi Karikázó, Somogyi Páros, Somogyi Tánc, Somogyi Táncok, Somogyi Ugrós, Szatmári Csárdás, Szatmári Körcsárdás, Szatmári Táncok, Szatmári Verbunk, Szatmári Verbunk és Csárdás, Szegény Csárdás, Székely Friss, Székely Verbunk, Széki Csárdás, Széki-Lassú, Széki Tánc, Széki Táncok, Szentistváni Csárdás, Szentistváni Karikázó, Szenyéri Páros, Szökkenós, Tápéi Darudöbögű, Terenyei Sergö, Tubarozsa Csárdás, Ugrós, Urai Körcsárdás, Uszódi Csárdás, and Ványai Csárdás.